Why do platforms censor truth yet allow a live feed of the New Zealand shooter's 17 minute footage? Interesting musings by anons. 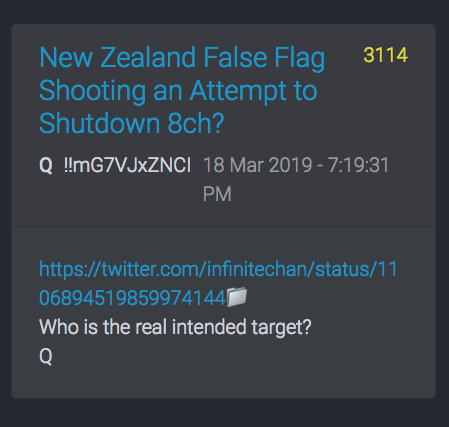 Some observations from the New Zealand shooting, some Qanon drops and some interesting comments made by anons recently. 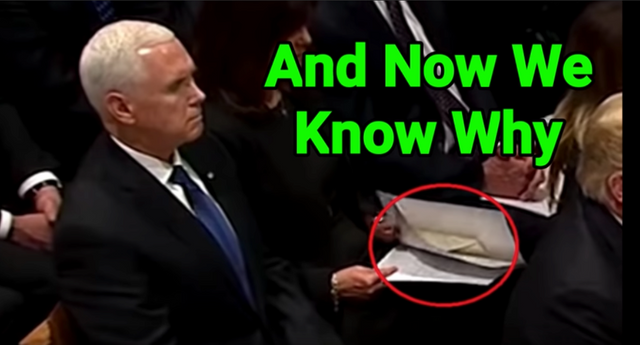 Did anyone else catch someone close to the president who also received a "special note" in their Bush funeral program? Why is MSM pushing so hard to implicate others, yet Refuse to tell the facts surrounding the shooting and the signaling. They Need the shooter to be connected to Trump for them to Beat their Same drum beat. The shooter actually did not endorse conservatism. So much Does Not add up with what MSM is touting. Interesting how it was 17 min. and Q is the 17th letter of the alphabet. Lets look at the date of the shooting. March 14 in the US, but as New Zealand is hours ahead. . .
What Is Ides of March? The Ides of March was a day in the Roman calendar that corresponds to 15 March. It was marked by several religious observances and was notable for the Romans as a deadline for settling debts. In 44 BC, it became notorious as the date of the assassination of Julius Caesar which made the Ides of March a turning point in Roman history. Sacrifice Stands out and Sheep to boot! In addition it was the Festival (also a sacrifice time) or Feast of Anna Perenna, a goddess of the year (Latin annus) whose festival originally concluded the ceremonies of the new year. Anna Perenna was an old Roman deity of the circle or "ring" of the year. Macrobius records that offerings were made to her ut annare perannareque commode liceat, i.e. "that the circle of the year may be completed happily" and that people sacrificed to her both publicly and privately. In modern times, the Ides of March is best known as the date on which Julius Caesar was assassinated in 44 BC. Caesar was stabbed to death at a meeting of the Senate. As many as 60 conspirators, led by Brutus and Cassius, were involved. According to Plutarch, a seer had warned that harm would come to Caesar no later than the Ides of March. On his way to the Theatre of Pompey, where he would be assassinated, Caesar passed the seer and joked, "The Ides of March are come", implying that the prophecy had not been fulfilled, to which the seer replied "Aye, Caesar; but not gone." This meeting is famously dramatised in William Shakespeare's play Julius Caesar, when Caesar is warned by the soothsayer to "beware the Ides of March." The Roman biographer Suetonius identifies the "seer" as a haruspex named Spurinna. Caesar's death was a closing event in the crisis of the Roman Republic, and triggered the civil war that would result in the rise to sole power of his adopted heir Octavian (later known as Augustus). You have a 3, a 6(1+4+1 taken from the year) then an 11. We know the "powers that be" Love the number a 11 so that's a given. Clearly, more can be done, but I will stop there for now as this date was significant and parts of it signaled by Podesta, Hillary's campaign manager. Someone was asking where they get these "nut jobs" to their dirty work (Deep State, cabal, controllers, whatever you want to call them). 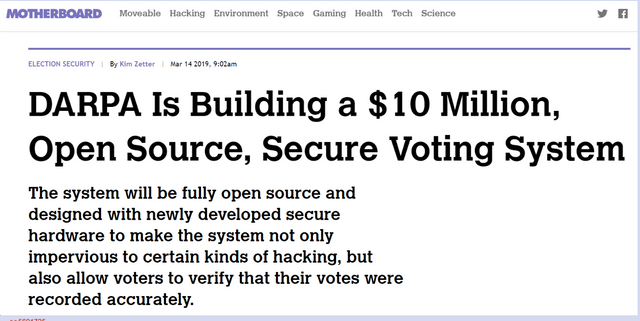 Article found below in sources. You'll recall the "notes" found in their Programs? 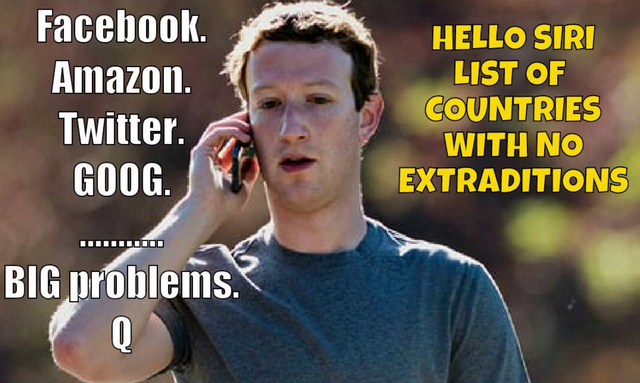 Another anon states, "now that FB is done, their moving to voting? I'm thinking, Are YOU going to trust them? Paper anyone? So in looking at those numbers yet again. Q is the 17th letter in the alphabet and msm has Attempted to link the shooter to a Trump follower, though he Is Not a conservative by his own admission. Obviously Trump endorses None of what he is saying and MSM knows that, they have been spreading their Trump hate as agents of a system whose crimes stand to exposed as Trump is Not a politician and he cannot be bought or enticed to take part in their corruption against We the People. 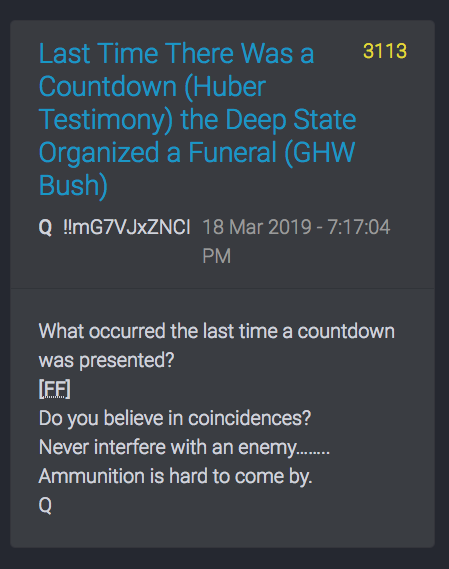 Is the 17 meant as the cabal's way to signal Q and Patriots as they know their corruption is exposed on a daily basis? What is more interesting are all the connections to Podesta, New Zealand, photos, symbols and a certain number displayed by Podesta. Podesta is a known Deep State operator, one who has been ousted for he and his brothers pedophilic art, their connection and the police sketches drawn from Witnesses who saw men matching their description the night Madeleine McCann murder. Podesta also made some interesting statements Against President Trump prior to the New Zealand shooting While he was in New Zealand and he made a statement about New Zealand being a target, yet Trump is the only one the media is mentioning? Does anyone else find that odd? What about all the usage Twitter, FB, WhatsApp probably, for nefarious ends? I mean, really. They're just going to end up shooting themselves in the foot and inviting gov't regulation. 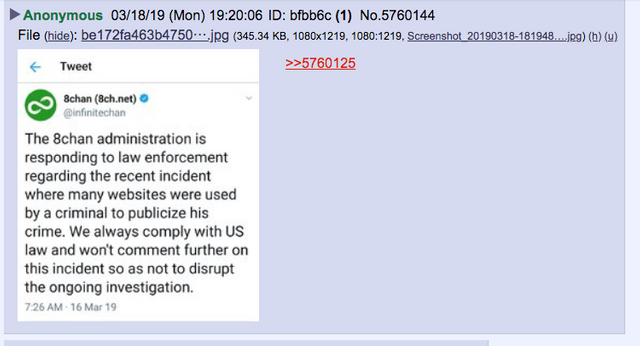 Q – if they killed innocent people to take down this forum, EXPOSE THEM. If it was somehow a hoax that didn't kill any people, with the intention to attack free speech and the right of self defense, EXPOSE THEM. That's all for now. We found out after I had done the footage on the GHW Bush funeral, Michelle and even Pence got a letter. Michelle is no mystery likely, but those of you wondering Why Vice President Pence got one. . .stay tuned. Hoping to bring this to light in a follow up article. Please let me know your thoughts on this shooting and what you are seeing out there for yourself. Stay Safe Fine Patriots and Godspeed!